Cleveland Seed Bank is hosting a movie night for the community and you are invited to attend! Doors open at Forest City Brewery at 6:00 pm, the Movie starts at 7 pm and a short discussion following the movie. Few things on Earth are as miraculous and vital as seeds, worshipped and treasured since the dawn of humankind. In the last century, 94% of our seed varieties have disappeared. SEED: The Untold Story follows passionate seed keepers protecting our 12,000 year-old food legacy. As biotech chemical companies control the majority of our seeds, farmers, scientists, lawyers, and indigenous seed keepers fight a David and Goliath battle to defend the future of our food. In a harrowing and heartening story, these heroes rekindle a lost connection to our most treasured resource and revive a culture connected to seeds. 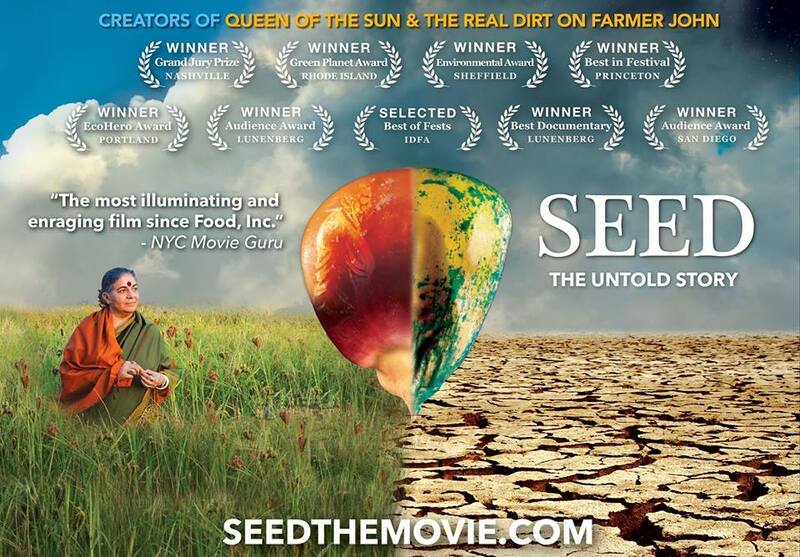 SEED features Vandana Shiva, Dr. Jane Goodall, Andrew Kimbrell, Winona Laduke and Raj Patel. Suggested donation of $5.00 to attend! No Comments to "CSB Movie Night: SEED The Untold Story"